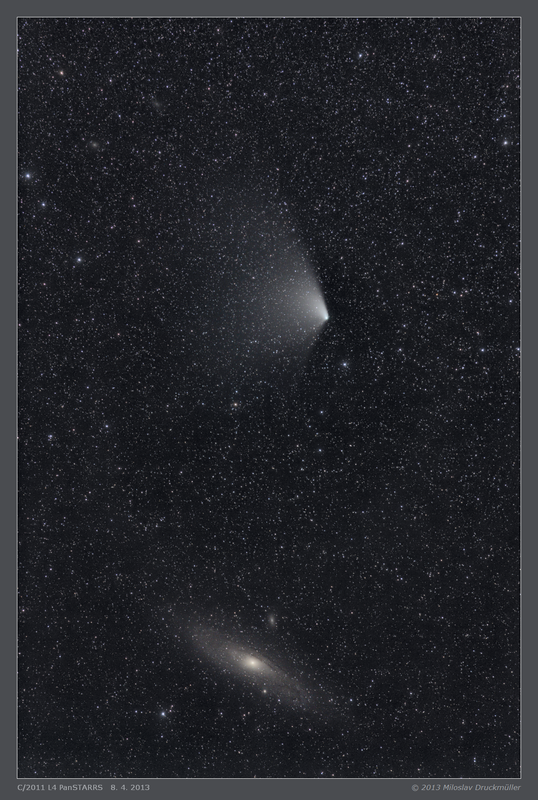 I was looking forward the comet PanSTARRS encounter with the Big Andromeda Galaxy. Unfortunately, the weather was terrible for a long time. Even on April 8 evening the weather looked hopeless. Thanks to my friend Pavel Štarha who monitored carefully weather satellites images the night was successful. The sky was covered with low clouds in Brno at the time when Pavel came to pick me up with his car. 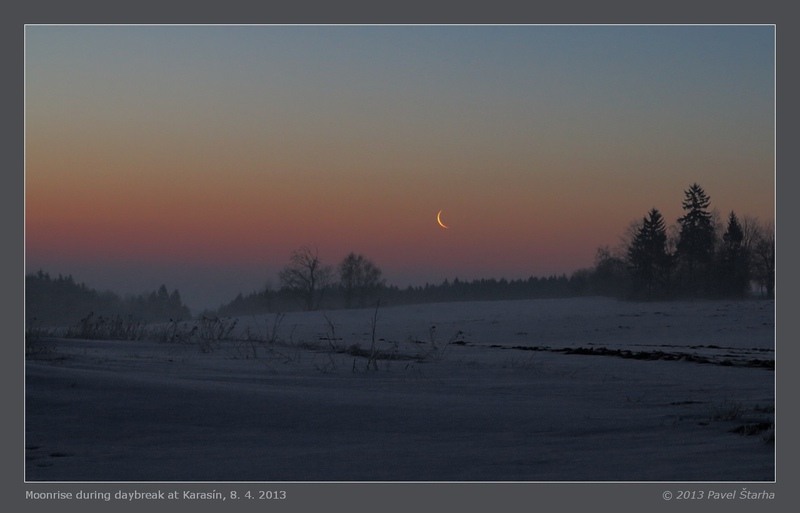 During the journey to Nedvědice the sky cleared and it was an excellent moonless night. We observed from Karasín hill. The temperature was deep under the freezing point and we had problems with hoarfrost. 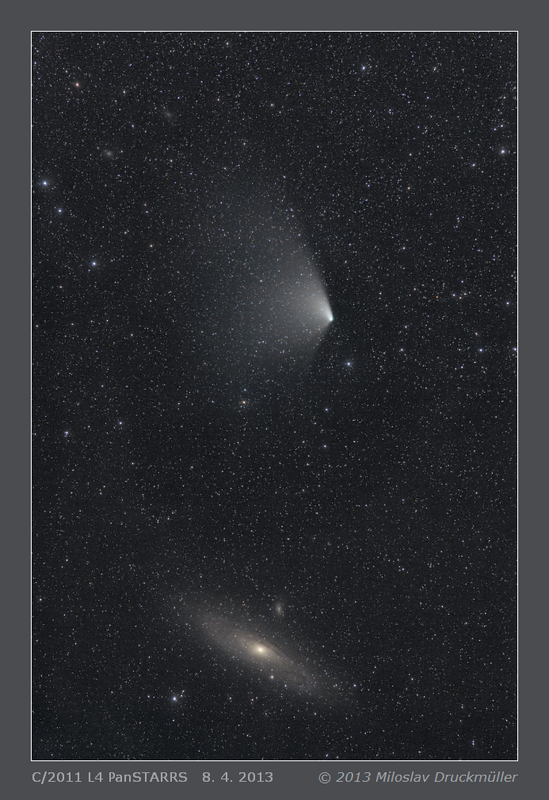 I made the fist image at about 02:50 local time (00:50 UT), but the comet and especially the M 31 galaxy were very low. The best observing conditions were just before the daybreak. The image presented on this page shows not only the PanSTARRS comet but also at least five galaxies and it is made from 16 images with total exposure time of 8 min. Click on the image or on the following reference to display the higher resolution image version (3.2 MB, PNG format).